Texting a message has evolved as one of the most convenient way to stay connected with your contact, when even calling or social chatting is not possible. This way of interaction is effective because one can send his/her concern to other person whenever they want. For that they don’t have to wait for other party to be free. Everyone in today’s time is searching for different ways to do such interactions without needing to shell out money. Many companies these days are exploring bulk SMS sending to propagate their marketing strategy, where sending a promotional text of their products and services is just a click away. Also these websites are playing the role of advertisers, as these websites consist of promotional advertisements of many other online portals. Some of the common features which these websites give make them convenient to use. You can use your mobile number as sender’s id, they support any Indian telecom company, facility to create contact books and save sent texts, and can access these sites from anywhere at any time. Here we are trying to bring some of the well-used websites in the focus and hopefully you can take benefit out of them for your endeavours. 160by2.com is one of the most popular SMS sending website available free of cost to users. Mostly popular among youngsters, one can send either individual SMS or can make a group to send many SMS at a time. This website not only gives you facility of sending free SMS but also gives opportunity to grab many jaw dropping deals running on other online websites, as they put their advertisement on it. But to get awesome discounts on these listed products you must actively earn Funbucks and Rewards. And this can be done by sending invitations to your friends to join this website. Exchange these earned points and get rewarded instantly. For avid readers, website lists popular blog materials on latest happenings. Way2sms is also one of the best websites available to send free SMS. As soon as you enter the website it shows one full page advertisement of any of the online deal running. This website is giving facility to send personal SMS, group SMS, or even future SMS, i.e., you can enter birthday wishes’ message some days prior and on the date of his/her birthday that message will be delivered. It is also giving opportunity to earn rewards and redeem them as free recharge for your mobile phones. There are some interesting activities you can involve with like – invite friends, fill surveys, download interesting mobile apps or visit the sponsor websites to earn the brownies. Indyarocks is another popular free SMS sending portal that also gives you a chance to socialize with other subscribers on board. In addition to unlimited free SMSs, it also offers the choice of mobile downloadable ring tones, games etc. It offers only 240 character limit for text messages and allows choosing multiple receivers for a SMS. Fun zone has free online games, movie reviews and chat rooms. We can also view Videos and upload. The site has a blog section too which is fairly active and covers some lighter topics of life. It is also giving free recharge on adding new people to their website. Because of its easy navigation and fun features this is a must visit website and subscribe it too. SMSfi is another crazy free SMS sending website which engages youth with more than just free SMS service. It is one of the widely used platforms to send free text messages, jokes and alerts. But that’s not all, the website offers a plethora of 2D and3D images to download and send across, access the videos on latest happenings, take part in interesting contests, send greetings across or explore food options in your city. If that’s not all, simply check your train PNR status. Along with this, many online portals are posting their advertisement on this website so as to attract this website’s visitors on their portals too. Through this website we can send unlimited SMS to our near ones and also can play unlimited games or download wall papers and ringtones available online. The website allows creating multiple groups. It can import the contact number from our mobile phone also; we just have to type initials of contact person’s name. This website also gives opportunity to login in via gmail account or gtalk, and do instant chat with your friends. Not only this, you can earn reward points and redeem them too as free recharge for your mobile. But to earn these free bucks, you just have to invite your friends to join in too. Site2SMS support 260 characters long SMS to any mobile number in India. It is India’s first SMS portal that supports free voice SMS ensuring on time delivery. It also supports free voice calling on any mobile network. As we enter the website, we firstly go through the advertisement of one of its online client, and then we can login to this website with our mobile number as its ID. There is no per day limit to send SMS through this website. Although this website is not much popular as other websites are, but its unique features are increasing number of customers day by day. In this website we can do group chat with our friends along with personal messaging. Once login is done, we can see number of advertisements of different websites showcasing their product and making customers aware of their existence in market. This website also provides 24×7 service of sending messages or using any of their services free of cost. Atrochatro is one of the most interesting websites to go through and you will like it for sure. This website along with sending free SMS service, which is provided by other websites also, provides number of other entertainment material. It has a collection of large number of e-cards for different occasions, e.g. for Diwali, birthdays, anniversaries etc. Games for mobiles and laptops are also available. You can play online quiz on this website and also can read and send jokes to your friends. This website can also be said as complete entertainment package for its users. On this website you can read your daily horoscope, can go through numerous new baby names. Along with this it also share top B-Town’s stories which can be read by customers visiting their websites. Atrochatro also maintains a collection of different genre messages, may it be traditional, festive, or love messages. This website is mostly used by the companies for marketing through SMS. It provides them with the facility to send SMS in bulk and explain their services by writing only once. The bulk voice call facility is more cost effective for a customer support businesses, which are active on calling the clients. Through this website one can send single message, message to a defined group or in bulk. If you have an upcoming event, a product launch, demo call or just an introductory conversation to do, MySMSindia would be the cost effective, less time consuming and convenient portal to do so. To be a member, simply call their office and work out the plan for you. This is a type of outsourcing kind of website, which is outsourced by many companies as their marketing partner. FreeSMS.com is an International Free SMS Provider which is allowing you to send Unlimited Free SMS anywhere in the world. And if SMS is spam or disturbing others, it will be blocked by the website, so this ensures integrity of this website. Sending a Global SMS is less in use and expensive too. But through this website you can easily send SMS from mobile, laptop, or PC. To send SMS unlike any other website, they don’t ask for login. One can directly type his/her SMS and send it to desired person. aFreeSMS boasts about its global coverage showing the regions covered under its service. So we can send SMS to those countries sitting in any corner of the world. They also feature advertisements of other online portals. Use to SMS is one of the unique SMS website, on which like any other SMS website discussed above, we can send SMS to a group, in bulk, of to single person. It also contains a unique feature of send SMS to some well known celebrity of different fields like chefs, dancers, actors, writers etc. Just click on send SMS and we can send them any message(not spam). It’s kind of providing interface between common people and celebrity. It also consist of collection of number of SMS, which can be send to anyone we want. And this collection of SMS consist of occasion SMS, jokes, general knowledge, ghazals, religious messages etc. 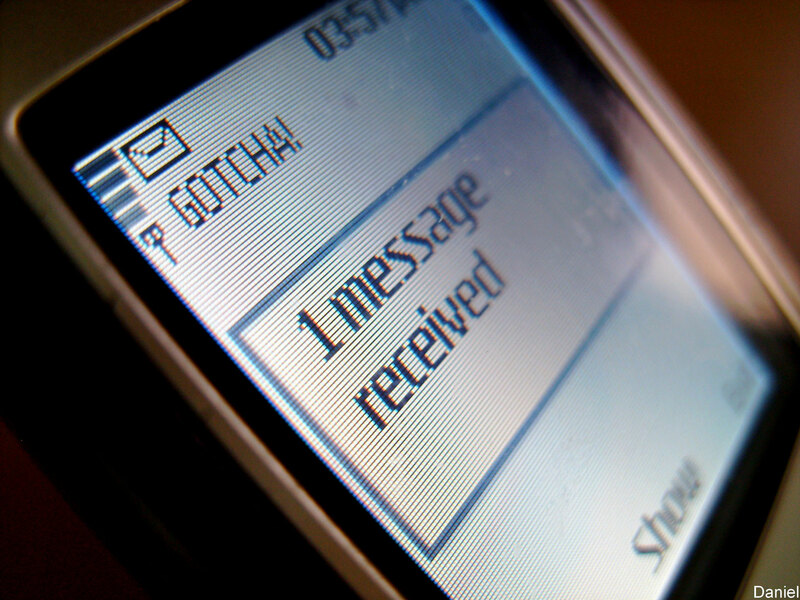 A vast collection of SMS can be seen on this website only. This websites on its home page also consists of number of online portals’ advertisements helping visitors to directly reach those websites, and also showcasing some nice deals to attract customers and make them go through their websites too.